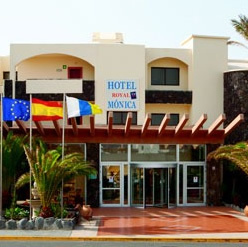 The all inclusive 3 star SBH Royal Monica hotel is located 4 Kilometres outside the resort of Playa Blanca; this family holiday hotel is just off the beaten track with around a 45 to 60 minute stroll into the old town and port of Playa Blanca. A local bus runs into the resort, the nearest stop is approximately a 10 minute walk from the hotel and will cost around Euro 1.20 alternatively taxis are available at a fare of around 5 Euros. This well regarded hotel is popular with German guests and a smaller percentage of UK visitors. Overlooking the sea with a coastline of mostly rocks, there is a very small natural beach 50 metres away with the nearest beach of note Playa Flamingo located near to the resort centre. This modern hotel comprises 5 buildings with a total of 215 rooms, of which 127 are suites and 93 spacious twins. The welcoming rooms each come with a bathroom, a hairdryer, a direct dial telephone, satellite/cable TV, a radio, ceiling fan and a hire safe. All rooms have a balcony/terrace. The all-inclusive board arrangement includes, breakfast; late Breakfast; lunch; afternoon snacks; afternoon tea; dinner and midnight snacks. Meals are taken in the hotel‘s air conditioned restaurant (Gentlemen are required to wear long trousers for dinner). The hotel has a snack bar, bar and entertainment theatre. 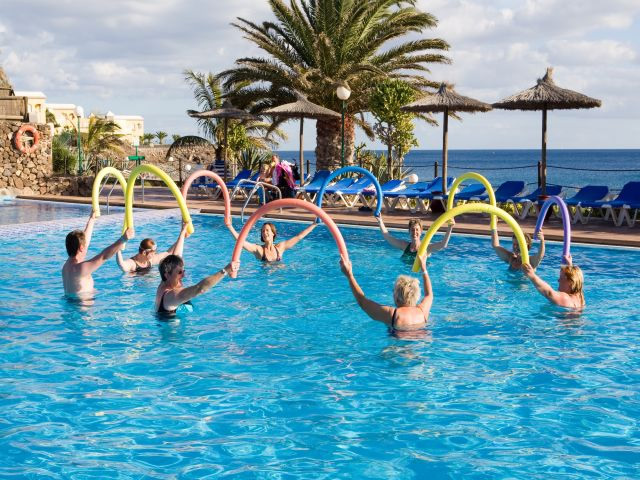 The Royal Monica provides a wide choice of facilities; in addition to the swimming pool there is a separate children's pool, surrounded by sun loungers and parasols. The hotel boasts a spa with a sauna, a hot tub, Turkish bath, Vichy shower and a massage service (for an additional fee). You can learn to Scuba dive with lessons available from the diving school located on the small beach by the hotel. Sports fans can enjoy tennis, table tennis, handball, beach volleyball and billiards (fees apply). A seasonal entertainment programme for children (including a mini club) and adults is also available. The Royal Monica has a 24-hour reception desk, a safe and lifts. In addition, there is a newspaper kiosk, a small supermarket, a public Internet terminal, Wi-Fi, a laundry service and bicycle rental (fees apply). 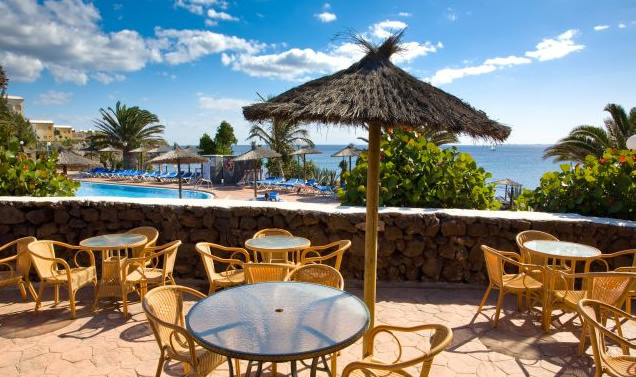 Car hire is recommended and the hotel provides a car park with ample parking.